Our Espresso Blend is a traditional Northern Italian blend, much like you would enjoy in the Espresso bars north of Rome. Unlike an American “Seattle-Style” espresso, our espresso is noticeably lighter in color because we roast each coffee in the blend individually. This is a much more time-consuming method of roasting and blending, but we think the difference is evident in the cup. In the tradition of Italian Espresso we recommend shots be pulled at one and three-fourths to two ounces for a double espresso When properly extracted, our espresso should have a reddish-brown crema, very full, velvety body, a subtle earthiness, and a hint of chocolate. A proprietary blend of coffees from South America, Central America, India, and Indonesia–ingredients may change with the seasons, as coffee is an agricultural product. 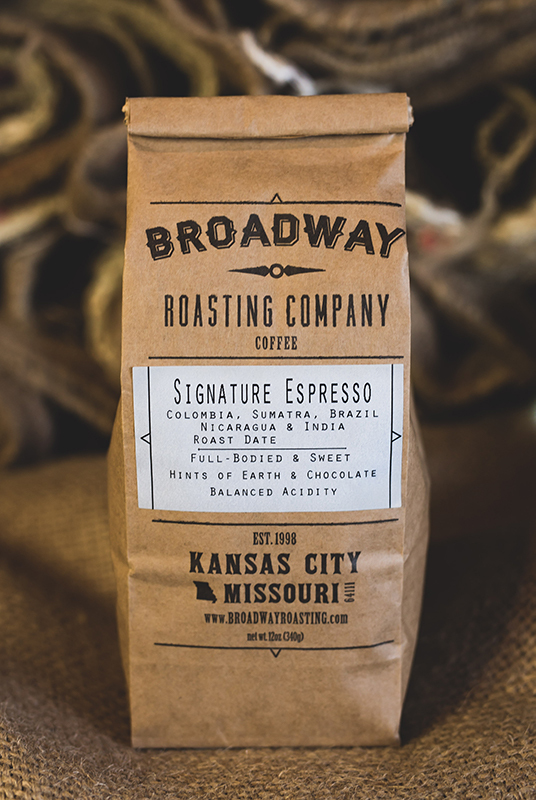 We source our coffee based on flavor and each individual coffee’s job in the blend. Espresso by the Italian standard is always a blend of coffees. The flavor profile will always stay the same–earthy, rich, syrupy, sweet, and smooth.